Quick fact – did you know that over half of all living former students of Texas A&M University are Class of 1996 or younger ? In an effort to create a new level of engagement and involvement with Aggies who have graduated within the last 10 years, The Association of Former Students’ Young Alumni Advisory Council (YAAC) has worked diligently to help local Clubs expand their engagement with Recent Former Students in meaningful ways ! Through this, The Association and the Fort Worth A&M Club will be promoting the creation of the Young Alumni sub-group of Fort Worth A&M Club. Activities will include – Kickball teams, Softball teams, Young Alumni Happy Hours, and Volunteer Opportunities. 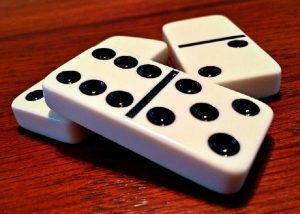 Join us for a fun night playing dominoes with your fellow Cowtown Aggies! Every 2nd & 4th Thursday of the month (unless otherwise noted). 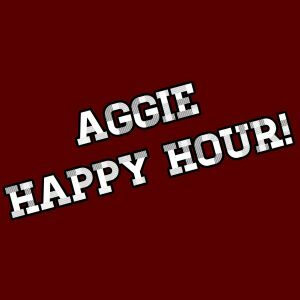 Join us for our monthly Aggie Happy Hour at Central Market Patio! Typically every 12th day of the month, however, we’ve adjusted to accommodate for Mother’s Day!